The mission of Women's March is to harness the political power of diverse women and their communities to create transformative social change. Women's March is a women-led movement providing intersectional education on a diverse range of issues, and creating entry points for new grassroots activist and organizers to engage in their local communities through trainings, and outreach programs and events. Women's March is committed to dismantling systems of oppression through nonviolent resistance and building inclusive structures guided by self-determination, dignity, and respect. P.S. This campaign states the benefit is to the YWCA Southern Arizona. These funds will go to cover the 2019 Tucson Women's March. The YWCA has graciously offered to by The Women's March Fiscal Sponsor! They are a 501(c)(3) - so check with your tax/accountant on whether you can deduct your donations. Thank you for all who contributed to a successful 2019 Tucson Women's March. Through a multitude of donations we were able to raise the funds needed to bring the community together to state the case and press for social change. 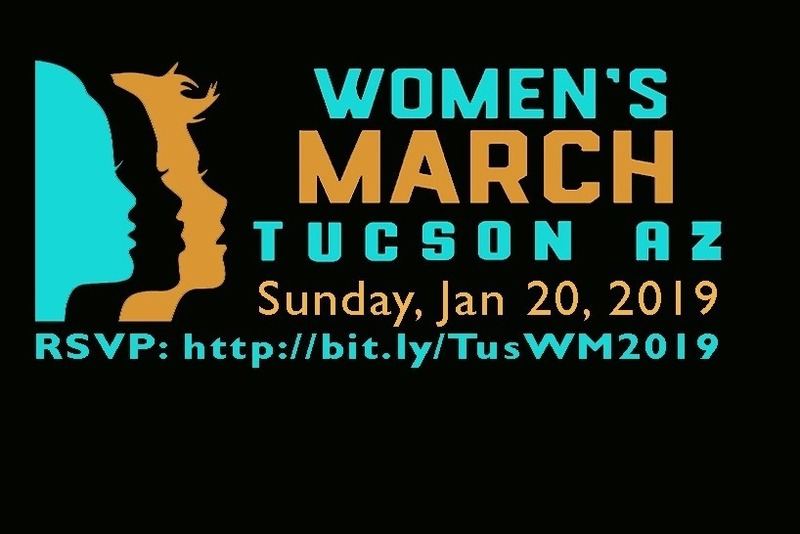 Please watch the website TucsonWomensMarch.com to see further opportunities for increasing your awareness and involvement. We are forever grateful for your support and for coming to march with us.